​​Unique vacation destinations can be a rainbow of experiences, not just a monochrome beach or one restaurant drink chill. If you choose well, your vacation destination can really enrich your thoughts. What would be a unique vacation destination? With hundreds of destinations in the world now claiming to be unique, how do you choose where to go on vacation? What would be for you a unique vacation destination? So many places offer beaches, mountains, great food and wine, culture, history, heritage, adventure, shopping, nature and entertainment. ​How do you choose from all these places? Vacation travel should not be an arms length telescope. That's what travel books are for. Look closely as you can to get at the real cut and thrust of the world. Choose to capture your dreams. It can broaden your world as you share in a kaleidoscope of cultures, celebrations and traditions. You live it, eat it, breathe it and make it become part of who you are. Yes, this is your chance to widen your horizon and broaden your experience. Vacation in a new place, not the usual one you go to each year. Try out a new experience. Our 70 year old friends whom we thought were not that adventurous went for a balloon ride. Go ride an elephant or a camel. Why not, for example, go for some of the sacred vacation destinations? Visit the Fatima Shrine in Portugal. Visit Lourds in France. Or go on a pilgrimage to Santiago de Compostela. Yes, why not? You don't have to be a spiritual buff, just curious. Not a major goal setting please. Just have a clear idea of why you want to hit the road. If it is to rest, why not hide at home or go to a spa close by and get a sun lamp? Save your funds to travel for fun, not the pain of getting some place to do sweet diddly. If you want adventure, then go for adrenaline high in places that offer these. Keep peeking at other issues such as the country's safety and security, health problems or other recent disasters but focus on your main goal. What is it that you prefer? The Ocean? The Mountains? History? The Lake? Amazing Development? There are so many destinations to choose from that it is not difficult to find what will suit your fancy. Just being in your favourite location often gives you that feeling of calm and relaxation. Driving through southwest of France once, my husband saw the Millau sign and he remembered watching on television about the Millau Bridge. Immediately he veered towards the direction and it was indeed something to see. It was like a big bird flying in the sky. What a marvelous accomplishment. A unique development worth a visit. You can be a world traveler in your own city. However, it is still a different experience to be right there in the place. Tomatoes and basil taste differently in Italy than in Canada. Most of the foreign food we get locally have already been made to suit the requirements of the country. Chocolate made in Malaysia tastes differently from those made in Switzerland or Austria. Even if you eat exactly the same brand and type of chocolate, they just don't equal in taste. Go to Japan and taste the fresh ingredients that are in season. You'll never appreciate your local Japanese haunt. Adventure travel has taken the fancy of so many people now that even 80 year olds are diving in the Maldives or trekking the Himalayas. Why not? Adventure is not just for the young. In Maldives, an 80 year old Japanese lady went diving with the same diving outfit we chose. They took really good care of her so she had a fantastic experience. Sometimes, having a vacation does not always mean travelling to other places. When we were working full time and work made us travel to many places, taking a vacation always meant staying at home and enjoying the comforts and relaxation of being at home. Nothing can compare with being at home. Yes, maybe you want to go to the other side of the world but you only have a week. Forget it. you can hardly get over your jet lag before you leave for home. Not a good idea. Once you are in the place you have chosen, review your itinerary with the locals. They may suggest better ways of getting to where you want or may give you alternatives given your schedule. Their suggestions may just lead to a totally unique vacation. Don't try to do too much or you really end up doing nothing, seeing nothing and learning nothing. Sit outdoors at a cafe or a park and savour that local feeling. Watch tourists and pretend you aren't. And when you get home, allow yourself time to get settled in. Don't rush into your work without having a chance to really think through your experience. Also remember, with delays in airline trips now, it is really better to plan more time gaps. You may go beyond or under this specific amount. But it is always good to have an anchor around which you can make decisions on what really make a trip. Once you are in a place, don't cheap out on the experiences. This is especially true in places that are harder to reach. You have already spent so much to be there, what is another hundred dollars to see the ancient paintings in a tomb or take that plane ride to see the mountain ranges in its spectacular beauty or a Land Rover ride into the jungle? Experiences are the only things worth buying! When you are on vacation, it is always good to have options. What if the mountain passes are closed? Or, there is so much algae in the water you can't really snorkel. Or, there is a tsunami and you can't do much. Places like New Zealand or British Columbia offer you the seas, the mountains and wine country. Nepal offers you temples and pilgrimages, trekking and mountaineering, kayaking and rafting, safaris, cultural festivals and world heritage and nature sites. Thailand offers the mountains, beaches, excellent and cheap food and cultural festivals, Buddhism, as well as cheap entertainment and the world's greatest foot massages right at the airports! There are other places that have so much to offer. 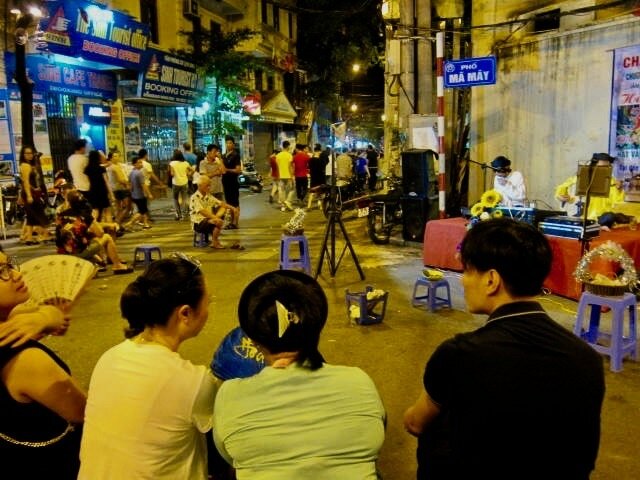 If you want to enjoy a street experience, go for Hanoi in Vietnam. The best street food and the city has closed off streets on weekends to give you even a much better experience. Go for the truly gorgeous. Places that cannot just be compared to anywhere else. Go for this, no matter what the cost. Maldives would be my choice for beach holidays. My choices, include mountain climbing and trekking the Himalayas, skiing in Switzerland, diving and snorkeling in the Maldives, cottaging in Canada, festivals in the Philippines, pilgrimage in Israel, temples in Cambodia or Indonesia, wine tasting in Alsace of New Zealand, and culinary adventure in France or Hanoi. Oh, maybe not. But hey there are many cool relatives. But follow the rule. Three days only, please. Fish and families last that long. People can stand almost anything if they know it will end soon. You will be welcome back if you leave while you're still welcome. If they live that far away from you, then staying longer is fine. But you don't have to be with them all the time. You can go off and see other sites. Or, as some families do, they rent a villa close by so there's space for everyone. Again, it is different if your goal is to spend time with them. We are lucky to have families scattered all over Europe and Asia. If we want to see grandchildren and parents, then, we have to go and visit. Wonderful opportunities, really, to explore the place. Yes, go for a retreat. There are many centres offering this experience now. You can go for a guided one or just on your own. Choose a location where you can take long walks. Remember, places are just a stage for life to play out its scenes. This is not home. If you blow it, you don't have to face the music the next day. Get a life. Walk on the edge. Push your limit and experience something new. Stay in small, local hotels and chat up the owners and guests. Your best destinations are unique people, the unexpected view, the unplanned side trip and the wall-to-wall smile on your face each time you remember! Want more on global travel? What has been your most unique destination? Share with us.